Mark you calenders for this years Chili Church. 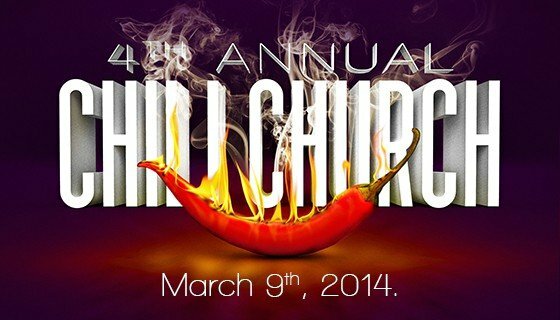 Our chili lunch fellowship will be held on March 9 immediately after the morning service. Why not make a pot of your best chili and/or cornbread and come for a great time of fellowship. See you there!